The Praia do Estaleiro is a local secret and a tourist adventure combined with the best of nature in Balneario Camboriu. The beach itself is secluded and even during high season, not many people are seen spending time here. The beautiful big waves make it ideal for surfers to experiment in the Brazilian waters while the few restaurants and hotels that line the beach, entice you into a warm stay. Natural swimming pools with geological rock formation formed in the sea. Carry beach essentials including sunscreen and bottled water. The place is known for cool waters and you may want to carry some warm clothes to change into later. How popular is Estaleiro Beach? 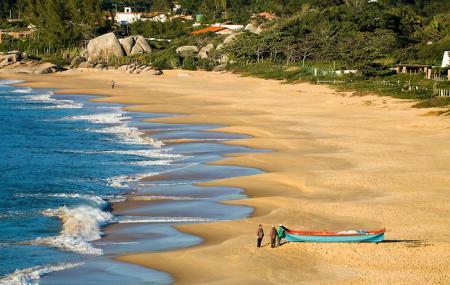 People normally club together Praia Do Pinho and Mirante De Taquarinhas while planning their visit to Estaleiro Beach.